The Chart Chick: What is the Genealogy Business Alliance? So it seems I've struck a nerve. Again. I think the phrase is "fools rush in...."
From the moment I put the link to http://thechartchick.blogspot.com/2016/01/slig-colloquium-2016-and-gba.html out on facebook I've been inundated with side conversations and personal messages from people looking for help with how to run a genealogy business. That's so exciting, but I think I haven't clearly stated what I was going for with this new idea. It looks like I've created some confusion. If you aspire to such things you might find value here and you are welcome to join us. If you are an independent researcher, writer, lecturer, media person, etc or currently work for someone in that capacity this is probably not the group for you. In that case we would suggest working with APG, GSG, ISFHWE or starting your own specific group. 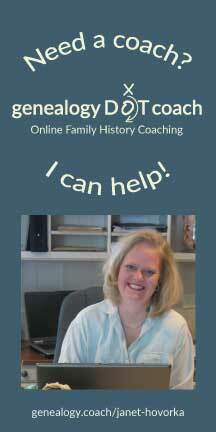 Though it may briefly touch on such subjects in the context of running a genealogy company, the concerns of an individual genealogy consultant is not a topic for this group. 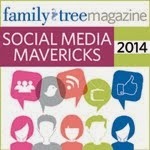 We intend not to talk about genealogy, but rather how to run a company in the genealogy market. Specifically this group exists to foster already existing "Mom & Pop" genealogy companies into becoming healthy corporations, thus creating more genealogy jobs, and encouraging all the boats on the genealogy sea to rise. I'm sorry if this isn't the particular need everyone is looking for. However I think the more focused this group is the more valuable it will be to the people who really need it. I'm really excited about it. Already I've learned valuable things about QuickBooks and issues regarding an LLC. There has also been talk of doing some purchasing together, shipping together, outsourcing together (what if we could create a full time job for something several of us only need a small part time job for. Or don't like (think taxes!)) So cool. If you are interested, please fill out our google doc at out at https://goo.gl/M1WoZ7. You can also request to join the closed facebook group "Genealogy Business Alliance". Feel free to contact me if you have any problems with that. We'd love to talk to you.